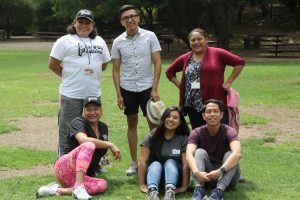 La Voz Latina was founded in 2005 and since then the program has become a primary resource center for the Latino community living in the Tenderloin neighborhood. What began as a tenant rights advocacy program has expanded to become much more than a single-issue community project. La Voz Latina is committed to supporting the various needs of low-income, monolingual Spanish-speaking immigrants in the neighborhood providing housing assistance, immigration information and advocacy, Spanish interpretation, public safety, and leadership and skill development.